UNIC launched the Economic Development in Africa Report, 2018 at the Meikles Hotel Harare on 31 May. The Report, which is produced by UNCTAD, was launched by Dr. Robert Nantchouang, African Capacity Building Foundation Senior Knowledge Management Expert. The event was attended by the Ministry of Foreign Affairs, other government officials, media, financial and economic experts. UNIC Harare’s National Information Officer, Tafadzwa Mwale, gave the welcoming remarks and background to the book before its launch. This entry was posted in Uncategorized on June 13, 2018 by Jabulani Nyamweda. On Thursday 22 February, scores of people, who included government officials, language experts, authors, UN staff, NGO and civil society representatives convened at the UN Information Centre in Harare to commemorate Mother Language Day 2018. The focus of this day was SDG 4, ‘Ensure inclusive and equitable education and promote lifelong learning opportunities for all”. In his opening remarks, Dr Abdoul Coulibaly, UNESCO Education Programme Specialist said the Agency supports language policies and recommends the use of mother language for better understanding. Dr Coulibaly said everyone has a right to access information in a language of their choice. Speaking at the same occasion, Dr Makanda, a Director in the Ministry of Primary and Secondary Education said there is need to link language to the economy. This can be done by branding locally produced goods in local languages. Such initiatives have already started around traditional brews, seeds, milk and other products. Currently, the Chinese have done very well exporting their language thereby bringing it into foreign economies, Dr Makanda said. The two-hour commemoration was punctuated by poems in Koisan, performed by Davy Ndlovhu, a San and one of the few remaining Koisan speakers and author, and by Maretha Dube, a speaker of Sesotho and author of several books used in the Ministry of Education’s school curriculum. UNIC organised this commemoration in conjunction with UNESCO and Children in Performing Arts Workshop (CHIPAWO). International Mother Language Day was proclaimed by the General Conference of the United Nations Educational, Scientific and Cultural Organization (UNESCO) in November 1999 (30C/62). The UN General Assembly welcomed the proclamation of the day in its resolution A/RES/56/262 of 2002. On 16 May 2007 the United Nations General Assembly in its resolution A/RES/61/266 called upon Member States “to promote the preservation and protection of all languages used by peoples of the world”. By the same resolution, the General Assembly proclaimed 2008 as the International Year of Languages, to promote unity in diversity and international understanding, through multilingualism and multiculturalism and named the United Nations Educational, Scientific and Cultural Organization to serve as the lead agency for the Year. This entry was posted in Uncategorized on March 20, 2018 by Jabulani Nyamweda. Harare, 18 December 2017 – The United Nations (UN) System in Zimbabwe welcomes the expressed commitment of the Government towards: social cohesion and peace; economic recovery and job creation; improved quality delivery of social services; anti-corruption; accelerated reform efforts including in the public sector; human security; credible, transparent and peaceful elections in 2018; and re-engagement with the international community. We are encouraged by the National Budget Statement for 2018, which lays a foundation for reforms and sees increased allocations to social services and productive sectors. We also take note of the policy shifts and measures towards economic recovery, stabilisation and inclusive growth through employment creation. Timely disbursements and efficient use of the allocated budgets would be critical.  Creating a conducive environment for accelerated economic recovery and inclusive growth, towards socio-economic and gender equality; Strengthening effective and accountable public sector institutions to enhance quality social service delivery;  Increasing participation of all citizens, especially women, in democratic processes and promotion of human rights; and,  Strengthening national and local capacity for accelerated implementation and monitoring of Zimbabwe’s commitment to achieve the Sustainable Development Goals (SDGs). In so doing, the UN System remains committed to the principle of national ownership and leadership, under the overarching collective commitment to leaving no one behind, with a special focus on the most vulnerable populations, particularly children, youth and women. The UN will enhance its cooperation under the existing strategic programme framework of the 2016-2020 Zimbabwe United Nations Development Assistance Framework (ZUNDAF)i, signed with the Government in 2015. Promotion of constitutionalism, respect for the rule of law, consolidation of peace, protection of human rights and gender equality will remain important as the country prepares for the harmonized elections in 2018 and beyond. 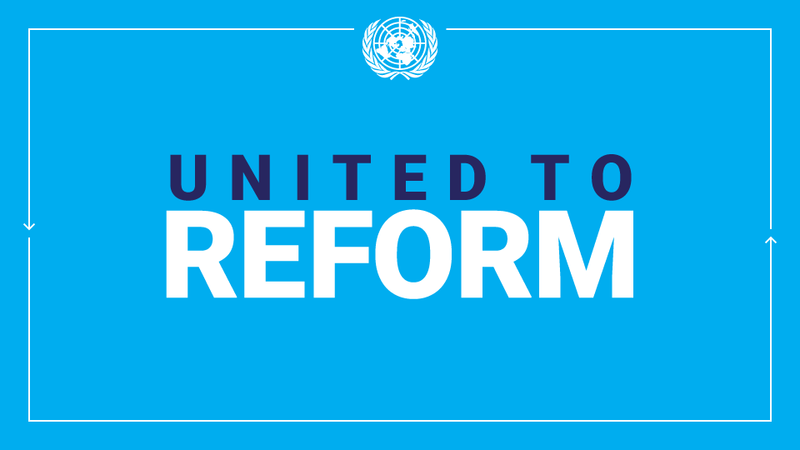 The UN System in Zimbabwe reconfirms its commitment to supporting Zimbabwe to advance sustainable, rights-based and inclusive development for all and strongly supports the Government’s commitment and efforts towards re-engagement with the International Financial Institutions (IFIs). i Under the strategic programme framework of the 2016-2020 Zimbabwe United Nations Development Assistance Framework (ZUNDAF), the United Nations provides support to national development priorities and progress towards the achievement of the Sustainable Development Goals, focusing on six results areas: Food and Nutrition Security; Gender Equality; HIV and AIDS; Poverty Reduction and Value Addition; Public Administration and Governance; and Social Services and Protection. As at the third quarter of the 2017, the UN in Zimbabwe, with generous financial support from development partners, has delivered over USD 714 million worth of development and humanitarian assistance under the current ZUNDAF. This entry was posted in Uncategorized on December 21, 2017 by Jabulani Nyamweda. UNIC mounted an exhibition of the Universal Declaration of Human Rights (UDHR) in various languages as Zimbabwe held activities to commemorate Human Rights Day and to officially mark the beginning of a year-long campaign to mark the 70th anniversary of the UDHR. Activities held on 8 December included an awareness raising procession from Gwanzura Stadium to Takashinga Cricket Grounds which was the event venue, edutainment on human rights by various groups and popular singer Sulumani Chimbetu. This year’s theme was Stand Up for Human Rights. Speaking at this occasion, Elasto Mugwadi, Zimbabwe Human Rights Commission Chairperson said the need to protect and promote human rights today are higher than ever before. He said ZHRC has handled over 1489 cases of human rights violations since 2014 when the ZHRC was formed. He urged the new political leaders to respect human rights and to eliminate discriminatory laws. Speaking at the same occasion, UNDP Country Director, Georges van Montfort said human rights have been pillars of the UN along with peace and development. He urged the Government of Zimbabwe to ratify outstanding conventions. Justice Minister Ziyambi Ziyambi urged development partners to enhance the support they are giving to commissions. He expressed the government’s commitment to ensuring that all Zimbabwean have equal access to human rights. Over 500 people attended the event. This entry was posted in Uncategorized on December 18, 2017 by Jabulani Nyamweda. On Monday, 23 October, UNIC joined the UN Country Team in Zimbabwe in commemorating United Nations Day at the World Health Organization Compound in Harare. The major highlights of the day were the ZUNDAF-thematic-group-based exhibitions showing the work of the UN in partnership with the government and other partners. Guest of Honour, Honourable Walter Mzembi, who is the Minister of Foreign Affairs toured the exhibitions, led by UN Resident Coordinator Bishow Parajuli. Both Mr Parajuli and Honourable Mzembi signed their pledge to be a responsible citizen on a white board that was provided for this purpose. This was followed by a formal event where both UN and the government pledged to continue working together for the development of Zimbabwe. This entry was posted in Uncategorized on November 3, 2017 by Jabulani Nyamweda. UNDP Country Director Georges van Montfort was the guest speaker at a Wednesday@UNIC Discussion Forum held at United Nations Information Centre (UNIC) on Wednesday, 27 September to commemorate the International Day of Peace. He said that peaceful societies are not those that are devoid of conflict. “Rather peace is sustained when individuals or communities have spaces to dialogue and can negotiate their lives while respecting the diverse interests of others,” he said, adding that conflict is a key aspect of human existence and if well managed, can lead to positive transformation at individual and societal level. As part of the commemorative activities, UNIC solicited pencil-drawn pictures from Zimbabwe United Nations Association (ZUNA) affiliated schools, depicting their vision of a world of peace. The group, Guitarists for Peace also performed at this event. This entry was posted in Uncategorized on October 4, 2017 by Jabulani Nyamweda. Zimbabwe’s Tourism Minister, Honourable Walter Mzembi on Thursday 5th July launched the Economic Development in Africa Report 2017 at the Meikles Hotel in Harare. Prior the launch, Dr. Thomas Chataghalala Munthali, Director of Knowledge and Learning – African Capacity Building Foundation (ACBF) presented the report, which was published by the United Nations Conference on Trade and Development (UNCTAD). The overall message of the book is that to better harness the potential of the tourism sector to contribute to inclusive growth, structural transformation and achievement of the Sustainable Development Goals, Africa should adopt policies that strengthen intersectoral linkages, boost intraregional tourism and promote peace. The launch was attended by over 78 people who included media representatives, various partners from the Government, Ministry of Foreign Affairs, financial institutions and civil society. The Economic Development in Africa Report is available in the UNIC library. This entry was posted in Uncategorized on August 25, 2017 by Jabulani Nyamweda. World Refugee Day is an expression of solidarity with people who have been uprooted from their homes by war or persecution. The latest figures from the UN Refugee Agency, UNHCR, show that at least 65.6 million people — 1 of every 113 members of the human family — have been forcibly displaced within their own countries or across borders. While Syria remains the world’s largest source of refugees, South Sudan is the biggest and fastest growing new displacement emergency, with 1.4 million refugees and 1.9 million internally displaced, the vast majority of them under 18 – a further blow to the future prospects of the world’s youngest nation. Behind these vast numbers lie individual stories of hardship, separation and loss; of life-threatening journeys in search of safety; of gargantuan struggles to rebuild lives in difficult circumstances. It is heartbreaking to see borders being closed, people perishing in transit, and refugees and migrants alike being shunned, in violation of human rights and international law. The human cost is profound: millions of jobs lost, millions of children thrust out of school, and lives haunted by trauma and intolerance. I have called for a surge in diplomacy for peace to prevent new conflicts from emerging and escalating, and to resolve those that have already had their calamitous impact. I am also appealing to Member States to do far more to protect people fleeing for their lives, buttress the international protection regime, and find solutions so that people are not left in limbo for years on end. The New York Declaration, adopted nine months ago, maps out a comprehensive and equitable way to address refugee and migration challenges, building on long-established laws and practices. The UN’s “Together” campaign offers a platform to promote respect safety and dignity for refugees and migrants — and crucially, to fortify social cohesion and change false and negative narratives that compound the challenges faced by refugees and their hosts. Throughout history, communities living next to crisis zones, as well as those far from the frontlines, have welcomed the uprooted and given them shelter – and in return, refugees have given back. Today, 84 per cent of the world’s refugees are hosted by low- or middle-income countries. We cannot continue to allow a small number of countries – often the world’s poorest — to shoulder this weight alone. This not about sharing a burden. It is about sharing a global responsibility, based not only the broad idea of our common humanity but also on the very specific obligations of international law. The root problems are war and hatred, not people who flee; refugees are among the first victims of terrorism. In recent weeks and months, I have visited refugees and displaced people in Afghanistan, Somalia and elsewhere. Sitting with these men, women and children, I was impressed by their fortitude despite having had their lives completely upended. On World Refugee Day, let us all try to stand in their shoes, and stand up for their rights and our shared future. This entry was posted in Uncategorized on June 22, 2017 by Jabulani Nyamweda. UNIC Harare conducted educational awareness on the United Nations in the eastern highlands town of Mutare, 28-30 March. The UNIC team, comprising Tafadzwa Mwale, UNIC National Information Officer (NIO) and Officer in Charge, Jabulani Nyamweda, UNIC’s assistant Knowledge Management Officer visited Magamba Youth Training College, Mutare Polytechnic College and Zimbabwe Open University. Over 800 students were reached during this educational awareness programme. The main objective of the educational awareness programmes is to raise awareness on the United Nations, and on current programmes such as the Sustainable Development Goals. This entry was posted in Uncategorized on May 4, 2017 by Jabulani Nyamweda.